We have put together some ready made Columns for use in the game Congo using a selection of figures available through North Star. This African Kingdoms Column is based on the Ngoni figures from Copplestone Castings. 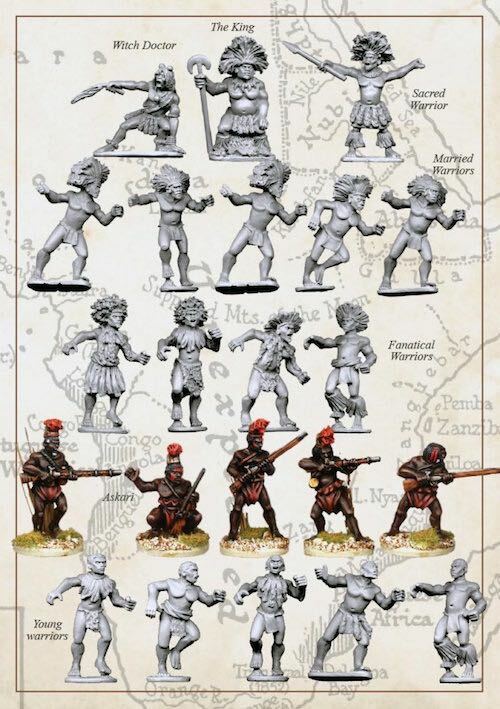 Q: Are these metal minis and do the unarmed natives come with a weapon sprue to add onto them or no weapons at all? A: yes they are metal.